Employers cut back payrolls less than expected in July, according to unemployment numbers released by the Labor Department, Friday. The jobless rate dipped to 9.4% last month as companies slashed 247,000 jobs, after slashing 443,000 jobs in June. 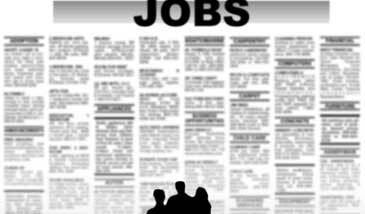 The African American unemployment rate continued its downward trend for the third straight month, hitting 14.5%, a slight decline from June, when the rate reached 14.7%. Despite the glimmer of good news, blacks are still hard hit by the ailing economy with unemployment 4.6% higher, year over year. “[Blacks] still have high rates of unemployment, and unfortunately it’s probably going to be three or four years longer before the unemployment rate comes back down to prerecession numbers,â€ says Algernon Austin, director of the race, ethnicity, and economy program at EPI. Austin says black males have seen the greatest job losses in trade and manufacturing, while black females’ greatest job losses have been in trade, finance, insurance, and real estate. Perhaps signaling a turn in the lengthening recession, June’s slowdown in losses is the first drop in the unemployment rate since April 2008. The numbers significantly beat analysts’ expectations, who forecast upwards of 300,000 job losses, according to the Economic Policy Institute, which also predicted unemployment would increase to 9.7%, in July. The pullback was spurred in part by fewer cuts in manufacturing, construction, professional and business services and financial activities, all industries hit hard by the recession.Â Overall, there were 14.5 million unemployed in July.